Happy New Year from Football Boots! 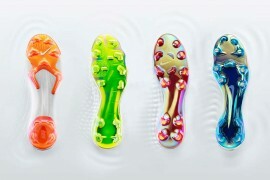 Footy-Boots.com was launched in April 2006. Since it’s birth, we have written over a 130 articles and our readers have made over 550 comments! 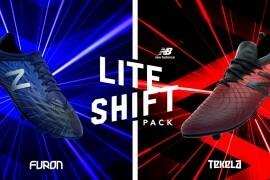 In 2006 we covered football boot launches, including the first lace less football boot – Lotto Zhero Gravity, a football boot made from Shark Skin – Kelme Tiburon, the Tiempo Ronaldinho – Ronnie’s own football boot and witnessed just two new Beckham football boots….. Swerve, Lion. Written just before Zizou head butted Marco Materazzi in the World Cup final, you just couldn’t get enough of Zinedine Zidane’s Gold Football Boots. As your comments highlighted, it’s a shame that Adidas didn’t produce the football boots for sale. 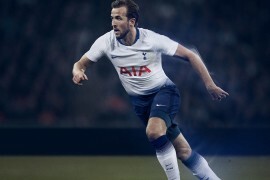 Was this the signing of the season? Thierry Henry left Nike for Reebok, this article reported Henry’s first game in his Reebok football boots. 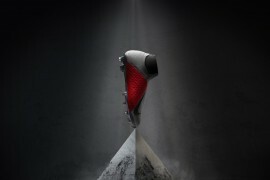 Rooney launched Nike’s Total 90 Supremacy football boots. 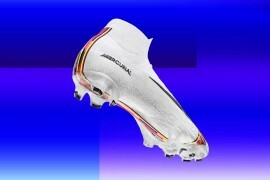 Unfortunately, wearing them competitively for the first time, he broke his metatarsal and struggled for fitness during the World Cup. 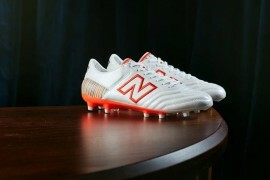 Thanks for reading and here’s to 2007 and some great football boots! 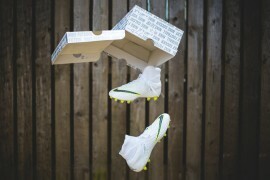 I have been reading footy boots for a while now and would like to say its one of my favorite websites. Great site for 2006 and I enjoyed it!